1974 to 1980! That is less than a decade of celluloid portrayals that Jayan has left as his legacy in Malayalam Cinema. He was lucky to be have been around in the cusp of the transition era, where Malayalam Cinema graduated from the the finality of its Black & White realms into an explosive world of Color. Not that it made much of a difference to the roles that he got on celluloid, but what saddens me is the fact that no one seemed to have tapped the actor in him, save for its flashes in a handful of films. Jayan, I repeat again, to me was the Original Badass of Malayalam Cinema, a feat that can never be equaled by anyone, ever. In his most prolific years of activity, 1977 – 1980, the way I see it, the majority of the movies were made to get a piece of that ‘action-cake’ that so guaranteed success at the box-office, and as a result, resembled more of clones of the same movie, rather than unique stories. But, I think, his sheer level of screen presence, badassery made up for all of it to ensure reasonable returns for its producers. He has had around 24 releases in 1978 and 26 in 1979 – that is roughly 2 releases every month for 2 years ! Think about it. True, there were some that nose-dived into the trash bin – that happens to any business venture, but on the whole, Jayan, was a economically viable brand in Malayalam cinema, till the time he was around. Producers and directors were in a mad scramble to get a piece of the pie, and even looked across the borders , borrowed scripts and had it spiced and spruced up, so that Jayan could flaunt his pectorals with calf-boots, a Lee Enfield, a horse and sheer testosterone. Here is a list of the ones I can recall. Please do add yours. I have always thought about ( I’m sure many of you have too) how it would have been, had that fateful day at Sholavaram not happened. How would have been the natural progression of an actor and an action dynamo of the Malayalam screen, our very own answer to Chuck Norris and John Wayne combined. How would he have progressed, makes up for some interesting evening musings 🙂 I think he would he fared brilliantly in his career curve, opting more towards the exploring the likes of the softer roles that came his way between the whirlwind hormone-capers that he found himself caught in, aging gracefully on screen through the years. Lesser known sidekicks and lower rung actors of his time have evolved to show us some of the brilliant abilities and facets of their repertoire we wouldn’t have ever even imagined in those times. Janardhanan and Cochin Haneefa could be the best examples. Kannappanunni was the first and the Vadakkan Pattukal – based production that opened Jayan’s doors top more of Udaya’s productions AND Navodaya’s ones in the same genre. He would go on to play the lead role ( yes, for me it is !) in Thacholi Ambu and another major production Mamankam the following year, follow it up with Kadathanaattu Maakkam in 1979 and Palaattu Kunjikkannan in 1980. This was, according to me, the movie that catapulted Jayan onto the big league, a force to reckon. Though he played the side-kick and rode shotgun ( with a grimace, sneer and abundant cockiness) alongside KP Ummer‘s loutish villian, Jayan held his own. Though his total screen time hardly clocked more than half an hour, it was enough to let the general public made aware of the enormous potential and onscreen charisma that this fairly new actor had around him like an invincible cloak. Though Thacholi Ambu gave him his meatiest role in Vadakkan Paattukal ( which I do love ), somehow, this ‘debut’ is the one amongst all of his Vadakkan Paattukal – based movies I love the most. I truly believe every Jayan Fanboy ought to watch this movie. From his early years (before the teeth-gnashing and Lee Enfield came into his onscreen life), this brings out a delightful. refreshing and often surprising onscreen persona of Jayan, the actor. Displaying a level of happy-go-lucky brashness (I don’t know any other way to put it). Out of the three films Adoor Bhasi directed, this was the most popular and had a fairly successful box-office run, from what I can remember, which also owed its bit to Sarangapani as the Script writer and the backing by Excel Studios ( Boban Kunchacko‘s production wing ). Jayan was Sudhakaran, a rare specimen in the tribe of Medical Representatives, who is chronically optimistic with everything in life, including the woman of his dreams. His instances of flirting with his ‘police woman lady love’ ( Sheela as Ammini) has to be seen to be believed :). As I said, there is an enduring freshness about the character that he plays on screen, something that went from stale to insipid in the onslaught of action movies that came rushing in. Not that I hated them ( the genre had its gems ), but I wish there were a reasonable number that represented this too. Kaalamaakiya Padakkuthira from the movie. A little gem from the ‘beefcaked’ 78 🙂 . Based on K Surendran’s novel Bhikshamdehi ( Jayan wasn’t all testosterone and daggers, you know 🙂 ), brilliantly adapted for the big screen by Sreekumaran Thampi, I consider this one amongst his top 5 roles of his career. True, he was a little ‘raw around the edges’, so to speak, and the prosthetics left too much to be desired, but the Jayan that we saw on screen was as close to one could visualise VV Swamiji from the novel. It was a unique characterisation – here was someone, still in the prime of youth, glowing with vitality and raw charisma, yet in the spartan attire of a yogi, who is trying to stick to his new -found direction in life with all the courage he can summon from his reservoir of youth inside, which in itself was a delicious irony. We find the yogi vacillating between his material caring and his dispassionate assessment of life as it happens to the ones who are close to him, by belief, rather than design, and yet the inevitable happens. Of course, there was also the brilliant compositions of Salilda to enrich the narrative, each a melodious cookie that you could sink your teeth into, and a favorite in itself. It was also interesting to watch Jagathy and Mallika Sukumaran play the reel life couple, estranged and bickering, trying to have the Swamiji help them find a way out. One of Jayan‘s best, without a doubt. Here is Sripadam from the movie. Here is the powerful, overtly suggestive moment from the movie. Puthiya Velicham (1979) told the story of this career criminal Venu (Jayan), the love of his life, a club dancer called Lily ( Jaya Bharathi), and the entry of a widowed, beautiful woman (Srividya) whom Venu gets acquainted with, in one of his midnight robberies. He stumbles upon her, ailing, bedridden and sinking, in a mansion he breaks into, and takes care of her, and in a peculiar turn of events, ends up taking her and offering her refuge in his bachelor quarters. Lily, desperate to leave the crime-ridden life, wants Venu to leave it all and walk away. But Venu is planning for that final one, the biggest heist of his career, the one that would never even make him want to do another ‘job’, but things take an interesting turn with the new ‘arrival’ at his house. Do I really care whether it was a remake of Paaji’s Phool aur Pathar (1966) ? No, Sir, I don’t. This was also one where I absolutely loved the Jayan – Sreevidya combination onscreen, a sort of consummate grace meeting explosive machismo 🙂 And how can one ever, ever forget that little secret behind Nature’s worst possible weather phenomenons ? Angaadi, according to me, has to be the most successful multi-starrer, potboiler movie that Malayalam cinema has ever seen, a commercial idea that simply burned down the box-office, with that added incendiary called Jayan. Babu was a watershed in the history of action-packed Malayalam films. I still know most of the movies dialogues by heart, and am sure there would many who would nod their head in delighted agreement. Jayan‘s Babu was the educated, ‘worker on the street’, relying on physical labor at the market place to sustain, along with a host of others, yet managed to reflect an uncommon affability and integrity in that maddening environment. Speaking of dialogues, his ” We may be poor..” has now attained cult infamy, thanks to the video sharing sites, but i think most got it wrong. Please do not expect a person from that level speak to you with a stiff upper-lip, and for that matter, why should an accent bother you in the first place ? Even the Englishman speaks his language with an accent. And I think, Jayan as Babu did a fabulous job at it. Here is Paavaada venam from the movie. I absolutely, absolutely, absolutely love this movie. Set around the palm-toddy tappers’ community, it was about Jayan as Muthan, a toddy-tapper, Kamalam ( Seema ) the love of his life that he marries without wasting any time, and in a repeat of the Sarapanjaram plot, the sexually frustrated comely wife of the local Rich One ( Adoor Bhasi as Saheb aka Saippu ) who has fallen hook, line and sinker for Muthan’s body. There is a unique amount of honesty in naivety that Jayan brings to his character, and the flirting between Kamalam and Muthan in the early part of the movie are a chuckle-worthy spectacle. The man has a libido taller than the tallest palm tree in the locality and has no compunctions in letting it out, so to speak. But rather than revulsion, his demeanor only makes you smile with the charming naivete that accompanies along with it. The repartees and the exchanges between him and Balan K Nair ( his mentor are a delight to watch. The movie progresses along predictive lines but Jayan, is an absolute treat in this one. The dialogues at times border perilously close to corny, but he rescues each of them with his undeniable, mischievous charisma. Pranayam Vilambum from the movie. They don’t make movies like this anymore :D. The 80’s answer to the CID genre and amongst all the gangsta movies that Jose Prakash presided over, this is my favorite. I also see this as the best representation of all those movie -clones that had Jayan running around with a Bike, a Horse, a Rifle and pure badassery. Please don’t get me wrong. I haven’t forgotten Moorkhan ( 1980), Shakthi (1980), Ankakkuri ( 1979), Chandrahaasam ( 1980), Thadavara ( 1981) and a whole lot of others, but Love in Singapore holds a special place for me amongst them all. There was nothing you didn’t know about the movie as you sat down to watch it. And that was the whole beauty of it. 🙂 Our original McCoy ( Prem Nazir as Prem ) looked too portly and clumsy from his early CID days, and I sometimes wonder how it had been if it had been Jayan who played the CID Officer. But that is just not possible, isn’t it? It would have killed all the fun. As the muscle-for-hire, Suresh, in Singapore’s underworld (tee hee ) who just about appears in the nick of time to save the CID officer’s skin, and a storyline so bizarre and corny that almost had you reaching for a cold beer, this was sheer, manic fun. I would go ahead and say this has to be the worthy successor and answer the 80’s could give to the 70’s madcap CID genre. Prem and Suresh as two lost-and-found brothers, what an idea, Sirji. The immortal opening line, “ദരിദ്രവാസിയുടെ ഇടി, കൊള്ളാമല്ലോഡാ ! ” @ 26: 32. Priceless. I guess the photograph says it all. In a way it somehow even defines the entire onscreen career of the greatest action man that Malayalam film industry has ever witnessed. His strength lay in his capability to thrill you, and that’s what he did, within the budget allocations and amongst his portly peers. He was all that we wanted others to be when adventure called onscreen and made good where others left us sadly disappointed and sore. And he also left without a warning. In a blaze of glory, I would add. Kolilalakkam was exactly what it promised. A shockwave. The finality was so profound. Yet, here we are, 31 years later, still discussing it. What more can an actor ask for ? 🙂 Thank you Pradeep.Always great to meet another sepia junkie. is there anyway to find the stunts and dances performed by the evergreen hyper action hero of malayalam cinema shri jayan in the film “Garjanam” and reels of “Pancha pandavar”? Really, it is a loss, if we don’t get this video….it was a superb dance performance by Jayan…we feel the irreparable loss when we see the scenes in Garjanam… he was a multifaceted talented actor… a pain goes in heart…..
hai…i tried a lot in youtube for the song THAMPURATEE NINTE KOTARATHIL RATHI PONPAVAYADUM…but no result…any body can link this here? dear sanju… searching that song of garjanam in youtube is sheer waste of time.. there will be plenty of rare tamil-hindi songs available in youtube.. but never malayalam.. the gramophone record of that song ( sung by jayachandran ) hasnt got released. so how can you get its audio? this song was available in video cassette format of that film. try your luck in that area. Dear sanju … the song ‘ –thampurattee– i had heard it only from akashavani during the year 1981.After it i never heard it. that was a good ilayaraja song.I dont know from where we can get this song….. It may be available in AKASHAVANI. But there is another song ORU THERIL ORU MALAR RANI WITH THE SAME MUSIC. This song was composed for RAJINI KANTH in GARJANAM after the death of JAYAN sir. Sanju … you can watch the tamil movie GARJANAI in youtube .this was the tamil version of garjanam.You can see the dance of RAJINI for the song —ORU OORIL ORU MAHA RANI. But unfortunately dance performed by JAYAN for– thampuratee– is not available it was his best dance perfomance.Old movies ippozhum sookshikunna tamil people abhinandanam arhikkunnu. Jayan was not only an exquisite brave actor but also he had shown the world that life is nothing but a collection of adventures and he believed in being a tiger for one full-day rather than being a dog for 100 years! Anyone knows the location of Karimbana movie..? A great irreplaceable superstar of malayalam films. Of course, people spoke much about his Physique but in my point of view, his smile that is his great attribute. When Jayan died, his funeral procession was shown in the beginning along with his film Moorkhan. But later it was not seen. Is it available with anybody? A bit of trivia .In the famous scene in Angadi Ravi menon says I dont know what these beggars are doing 1.41 in the sequence .However when Jayan talks he refers to the term as buggers . . wonder how or why it happened this way . Hello respected members, we some people of jayan fans arranging a memmorial ceremony on jayan’s 33rd death anniversary in PEROORKADA junction thiruvananthapuram on november 2013. On this occation we help the poor cancer patients who are under the treatment in RCC TRIVANDRUM .And also we are going to register ‘ ANASWARA NADAN JAYAN SAMSKARIKA SAMITHI’ as a charitable society. Hope your blessings. I salute the professional in Jayan, his dedication to the craft and his penchant for perfection … sadly it cost him his life and a promising actor for malayalam cinema. Neverthless, he will be remembered for a long time to come. Can you please give me the song “January Ravil ” from the film Anjali released in 1977.Or if possible please broadcast it in this site. IF ANY ACTOR COME CLOSE TO JAYAN IN INDIAN CINEMA IN PHISICAL STRATURE OR SIZE,OR FIGHTS AND DANCE IT IS CHIRANJEEVE IN 90’S AFTERWARDS. ANY WAY HE IS NOT GOOD LOOKING LIKE JAYAN. BUT ONE THIS SURE, IF SOME BODY WATCHED JAYAN 2 DANCE AND 2 STUNT SCENE IN GARJANAM KNOWS THAT WHAT HE HAD IN STOCK. ANY WAY JAYAN WAS STILL YOUNG IN MANY OF US. AND BY THE WAY HE IS THE ONLY EXPORTABLE ACTOR EVER WE HAD IN MALAYALAM CINEMA SO FAR. \9I MEAN HE IS CAPABLE TO GIVE A HIT IN TAMIL/TELEUGHU/KANNADA/HINDI HIS OWN IF HE HAD MORE TIME WITH US. hai, i had seen GARJANAM ,but at that time (1981) i was only 6 years. But in my dull memory i can remember one stunt scene and A dance scene -THAMBURATTI NIN KOTTARATHIL- performed by the greatest superstar JAYAN. i think GARJANAM was a flop because no one can even imagine RAJINIKANTH in the place of JAYAN. jayan a great super star. irumbazikal,nayattu,kolilakkam ,deepam, manushyamrugam, angadi,meen were excellent movies of jayan. Padayani was produced by Sukumaran…under the banner of” Indraraj” creations..names after Indrajith and you know who..
One of Jayan’s best performances was in the remake of Thappu Thalangal, starring Rajini. It was a tough act to follow, as Rajini himself had surprised everyone with his searing portrayal of a reformed hooligan in love with a prostitute. I’d also rate his only Tamil film appearance in Mahendran’s Poottatha Poottukkal among his best. Here was a Mallu superstar playing an impotent man in a Tamil arthouse film. Now that required guts. It’s wonderful that he’s rememebered for lines like Daridravaside idi….kollamalloda…but sad that people forget everything else he did. hey..that Jayan acted in a Tamil movie is news to me…and could you tell us more about the rajni movie remake. C.V.Hariharan directed “Garjanam” and already Two stunts and Two Songs scences of Jayan were shooted and after one week jayan was died.Then this movies was completed by Rajanikanth the Tamil Superstar.The two stunts and Songs were reshooted again. The co-cast were Ravikumar,Balan.K.Nair.Madhavi,Geetha etc….This film was realeased in 1981 and was a hit movie. In all theatre wherever this movie was played ,jayan’s two songs and stunts were shown as an introduction. The tamil remake of this movie is named as “Garjanai” is available online . Jayan has acted in a Tamil Movie”Poottatha poottukal” released in 1980.The Movie is available in Youtube.Please watch. the remake of thappu thaalangal in malayalam was named ‘ Kazhukan’. The actress was Subha. 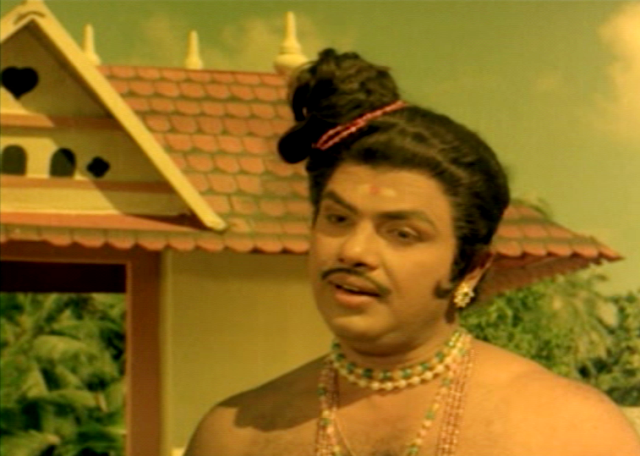 Apart from Jayan, the film also featured Sukumaran. Is this the same Cramsingapore from youtube?? I an your fan..
Will require a leap of faith for me to appreciate Jayan as an actor. From whatever little I have seen (and I confess to have seen very little), it’s difficult for me to imagine as an actor who will be remembered even after years (not the caricatured version). Maybe over a period of time, if he would have acted in movies that we cannot forget, he could have staked a claim but otherwise, for me, he’s just an actor who sparked briefly as an action icon who may have not sustained his popularity over a larger period of time, unless he managed to re-invent himself. What if Jayan were alive….???? I dont think he would have lasted as an action hero. Rememeber what happened to Ravikumar and and Sathar. they sort of fizzled out. (so too did lover boys Ragahavan, Jose Sudheer, Ravi Menon, Rajkumar, Shahnavas, Rajkumar, Shankar, Ratheesh et al). he might have had to reinvent himself as (Cochin Haneef and Janardhanan did and more recently what Bheeman Raghu is doing). Malayaleess welecomed only the original Jayan. Jayan cronies and Jayan wannabes were given the clean goby. Ajayan- Jayan’s real life brother and Bheeman Raghu (who blindly follws the Jayan trail in RAJAVEMBALA) all couldnt make a mark. i think if Jayan were alive today he might have graduated to those sort of roles which Soman and Sukumaran took in the later stages of their career. was musing more on what would have happened to Jayan’s careee if he was still alive. Kolilakkam -11?? we still cherish the Jayan moments in each and every frame…..Jayan is Jayan….it is impossible to imagine somebody lives up to that caliber……the great loss!! let it be a loss for ever…! Japan would have lasted till late 80’s as a star with all plum projects going to him. Mohanlal would have risen still but not Mamooty. Imagine thusharam, athirathram etc with jayan in the lead. Rajavinthe magan with him as Vincent Gomez and lal as the villain 😍. He’s not someone I’ve grown up watching 🙂 But I have watched his movies sitting along with my grandmother in my childhood. A very talented actor he was indeed in that small time that he spent in Malayalam cinema. 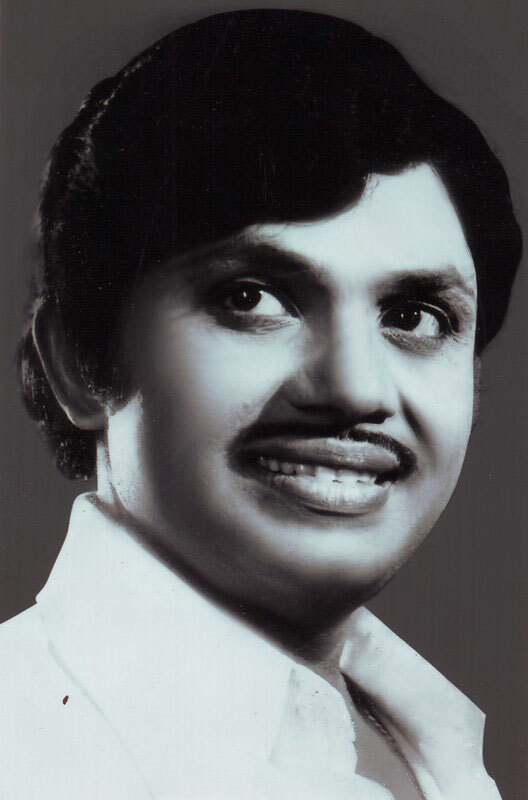 Jayan died in 1980..that too for a a noble cause- dedication to his job and Malayalam cinema. It was in the third take which he demanded ,that took his life. His replacement was Rateesh..who came in Thusharam as an action hero.But he never took off. Soman and Sukuamran took angry young man roles for a year or so..until Mamooty got noticed. Bheeman Reghu was supposed to be his substitute. But he failed in that role. In the void that was left by the death of Jayan..came Mamooty Lal Shankar and others. But nobody could replace Jayan. However people started forgetting him except for his Fan Club in Kollam which used to conduct odd condolence meetings every now and then. It looked like Keralites forgot him. Channels forgot him during his death anniversary, until the late ’98 when mimicry artists ressurected him giving him a joker image creating dialogues , over exaggerating his capabilities.and crossing all limits of decency. This wasnt the way to treat a person who died a tragic death for a cause. I had protested the mimic protrayal of Jayan in 98 itself. It wasnt imitating, it was ruthless mocking. However that brought back his memories and made him a pop icon again revived interest in his movies… It seems lots of people enjoyed it. Noone objected…but I always felt..this wasn’t the way to treat a man who charmed keralites once upon a time..so dedicated in doing it..that he had to give his life. I dint know these were remade from other language movies..well but who cares..Jayan was in it..I saw all my Jayan movies from Kazhakootam Mahadeva,Krishna (Now New krishnaDTS, earlier Krishna olappura), and Vetturoad Sreekala. The only one I went to town to watch was Chandrahasam in Newtheaters. Angadi was the biggest hit. Woosh! You brought back great memories! Angadi, I still remember the ceetees in the theatre following Jayan’s dialogue in Angadi. Sarapanjaram (I was too young to comprehend the whole movie, but watched it nevertheless), Puthiya Velicham — the list goes on. What movies do you want us to add? Ones that he acted in during ’78 / ’79 or the ones that were remakes from other languages? The movie Nayattu is a remake of Amitabh Bachchan’s Janjeer. So is Puthiya Velicham – a remake of Phool aur Pathar acted by Dharmendra. In addition to Snehikkaan Samayamilla 1978 ,Puthiya Velicham 1979, Anupallavi 1979, Oru Raagam Pala Thaalam 1979, Venalil Oru Mazha 1979, Nayattu 1980, Deepam 1980 , & Kolilakkam 1981 which were remade from Hindi films ,Shakti and Meen were the other two jayan films.But not exactly like the above films. I,V, Sasi once in an interview said Meen was remade from an Amitabh bhachan -sanjeev kumar 1978 film Trishul (the story of son’s revenge against his father).Trishul is made in delhi with construction businees story while meen is made in kollam kerala with fisheries business story. Similarly Shakthi the vijayanand movie have the shades of Muqaddar ka sikandar the climax of both the films are same. Is KOLILAKKAM a remake of WAQT- barring the story of brothers lost in childhood- finding each other as adults there is no similarity b/w these two movies. the tale of lost brothers has been the subject of YAADON KI BAARAT, AMAR AKBAR ANTHONY (John Jaffer Janardhan in Malayalam) and another movie with Mammootty, Mohanlal and Devan in the lead- forgot the name of the movie..
did a check on the movie starring Devan, Mammootty and Mohanlal. the movie is PADAYANI a direct remake of YAADON KI BAARAT. Actor Indrajith played the yong Mohanlal in the said movie.